We all know that the reason for Samsung’s success in the Smartphone market is all credited to its Galaxy range of smartphones. 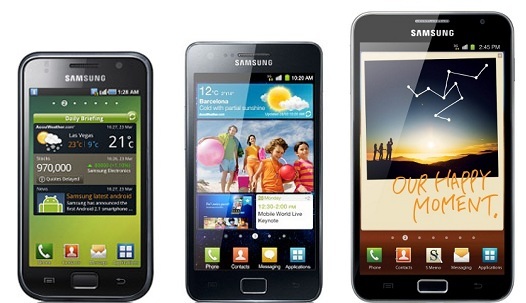 And now Samsung has confirmed that it has sold over 50 million units of the Galaxy S and Galaxy S II combined. Samsung has said that since its launch in June 2010, the Korean giant sold over 24 million units of the Galaxy S, whereas the Galaxy S II, which was considered the best Android smartphone ever managed to sell about 28 million units in just half the time (13 months) from its launch. That’s about 52 million units, which is huge. Also do remember that the recently launched Galaxy S III already saw a pre-order of 9 million units before its launch and the numbers are bound to increase as the smartphone has started reaching various markets and it is sure to break S II’s record in a few months’ time. Also Samsung has confirmed that its 5.3 inch Phablet, the Galaxy Note has sold about 7 million units, and which is again a big number considering a totally different screen size it arrives with.